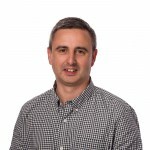 This blog is part of a series of blogs which document the built-up of a recent IoT Proof of Concept. For further information, you should review Part 1 of this blog. If you know anything about IoT development, you will know there is a large variety of hardware and devices available. Most are Arduino based, so share a common architecture. In Sogeti Ireland we have used Intel devices and RaspberryPi (is Pi IoT or not? That is for another day!). For this project we decided on an Intel Galileo Gen 2. Intel have a number of devices which have starter kits for easy sensor assembly. 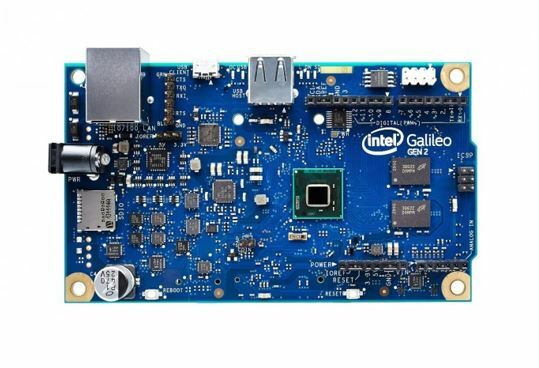 The Galileo is the largest in a range of Intel devices, so we believe that we could miniaturise when required (we could also move to another manufacturer, after the PoC, but this worked for us and Intel have a good IDE and other features). Next we had to think about the sensors. 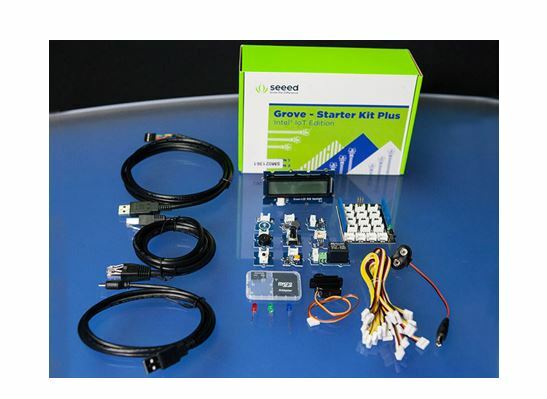 Like other boards, you can buy a sensor starter kit for the Galileo. The starter kit allows you to quickly and easily assemble the hardware (adding and removing sensors, without soldering, etc…) for your project. We have found that the starter kits are great for PoC’s and prototyping but not for a final product. Firstly, the sensors are more expensive and most importantly, they are not calibrated correctly. I am also reliably informed that the circuitry does not use the best components and they are not properly shielded from each other. That aside, for a PoC, this was a good starting point for us. Our starter kit did not have a Moisture sensor. So we purchased a cheap sensor online and our electronics guys wired it up. What issues did we find and how did we solve them? We found a problem with the moisture sensor, which unsurprisingly, corroded when exposed to moisture. We will cover this in a later blog too, as it also had a coding solution. Based on research Richard found that that taking a measurement passed an electrical current through the sensor. This repeated current was the main cause of the corrosion. When programming the moisture reading, he turned on the sensor only when taking measurements and turned it off once the reading has been recorded. This helped but we continue to play around with the amount of readings we take from this sensor. We would also recommend that you purchase a better sensor with gold plating, which will limit corrosion. We wanted to demo that this could run without an electrical socket, so we needed a battery. Our starter kit has a 9V battery adapter but our calculations showed that our project would run for approx. 7 mins. We debated this a lot… Michael Woods, one of our electronics experts said that we would wire up a longer lasting battery. However, for a PoC, I felt we could use the 9V. The better battery would add expense and not add anything to the PoC. If we built this for real, we would miniaturise and build a more energy efficient device anyway. This is also something we are considering for the next phase, as a 7 min demo might be slightly limiting!